A visit to one of these places will give you a definite high. However, if you are either cranky or have a weak heart, none of these interesting places will be a suitable travel destination for you. If you are looking for excitement and are curious to know why these places are considered dangerous, then read on. 1. 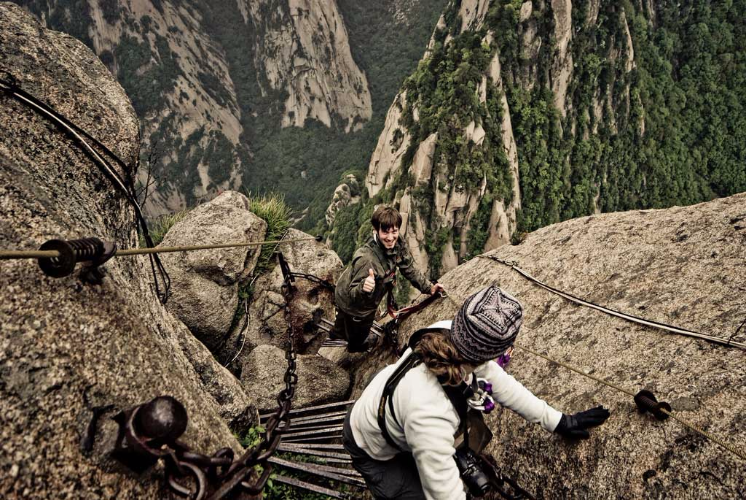 The Dangerous Mountain Path in Huashan, China. One of the most famous travel destination in the world is also one of the most hazardous. Huashan is one of the five holy mountains in China. Hikers walk past five peaks to complete the trail.